Enjoy a full-day, 9-hour winery tour from Toronto and the Greater Toronto Area to the Niagara Region. This small-group tour includes one full tour of a winery plus tastings at 4 wineries with a minimum of 3 wine tastings per winery. You will be given a relaxing 90 minutes of free time in Niagara-on-the-Lake township to explore the town on your own and visit one of many local restaurants/cafeterias for lunch. Ride in a comfortable and modern air conditioned mini-coach with full commentary given throughout the day on this guided tour. Pick up is from the Strathcona Hotel near Union Station. 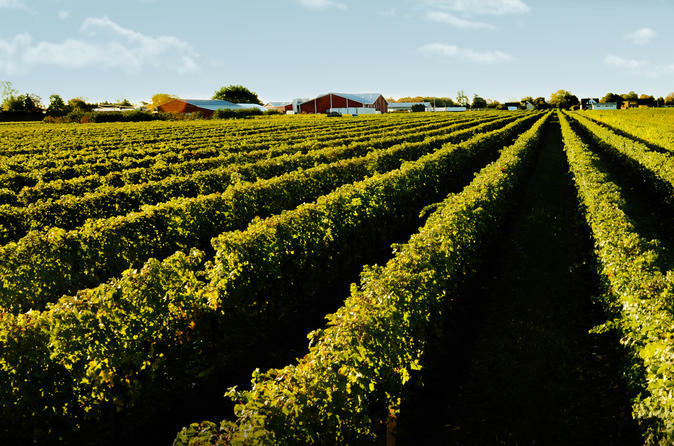 Your tour starts in the morning with a pickup from Strathcona Hotel as you make your way around Lake Ontario to spend the entire day exploring the beautiful Niagara region which is world famous for its rich ice wines and other tasty wine varieties. Start the day trip with a full tour and tasting at the largest estate winery producer of ice wine in the world. Spend around 1 hour at this winery in the morning learning the secrets of the wine making process and enjoying their award winning wines. Then, visit the second winery on the tour for a complimentary tasting of 3-4 wines including the ice wine - known affectionately as "The Nectar of the Gods." Following your second winery tasting, you will continue into the historic town of Niagara-on-the-Lake for a 90-minute lunch stop. Check out the picturesque river mouth, and take a walk down the main street, which has many boutique shops, cafes, and bakeries for your enjoyment. You will use the 90-minute stop to explore the town independently and find your own lunch from one of the many cafeterias and restaurants available. After lunch, visit the third winery for more complimentary tastings of 3 wines and try more famous ice wine. To finish the day, the fourth winery will welcome you with open arms and provide 3-4 tastings for you to enjoy in the late afternoon sun before your return trip back to the Toronto area in your modern and AC/heated comfortable mini-coach.